Pretty much all webcams on the market have a LED indicator on the device that turns on when the camera is in use. Is there any way to prevent this light from turning ON if you feel it is annoying, or if you need the camera for some covert surveillance? Can the webcam light be turned on/off independently from video capture? Short answer: Not by you. Usually not by hackers, although this is sometimes possible. 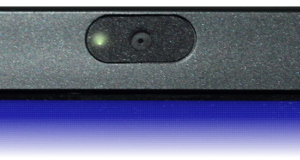 In theory, the webcam light should be physically connected to the camera's sensor power, and would turn on immediately when video capture would start. In other words, it would be a hardware feature. Many webcams, indeed, proceed this way. However, it has been proven that many models of webcams, both external USB and embedded in laptops, have software features to control the light. This means that the webcam's driver is responsible to send a command to the webcam to turn the light ON when video capture starts. This is a security vulnerability because, obviously, software can be hacked. What is the percentage of webcams on the market that is vulnerable to this exploit? Can't know, this is not an advertised feature. Manufacturers can do what they want, and various models from the same brand might work differently. What are the manufacturer's incentive for webcam security, and why would they allow this flaw? The webcam light is a not only a recording indicator, it is a privacy indicator. People expect that the webcam is OFF if the light is OFF. I think manufacturers would rather not be in the news about their cameras failing to deliver on this, so they do have some incentive. But manufacturing is a balancing act; they design their products in a way that is most cost efficient. Sometimes, this might mean using an already made video sensor board, and placing the webcam light on a separate system controlled by the software driver. Since no major scandal (as of this publication date) has yet to put a major camera maker in financial harm, securing this aspect has not been a priority. How hard is it for hackers to exploit this weakness? DirectX (or any standard camera control software layer) does not provide services to control the webcam light, so end-user applications cannot turn on-off the webcam light. Doing so requires more complicated system modifications, often on a case-by-case per webcam model. Modifying the webcam driver might break connectivity, and doing so can be like gambling, trying things and hoping it doesn't break. This is hardly an option for a meticulous hacker. 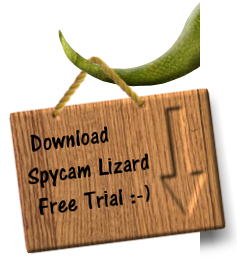 Producing a reliable solution that works for most webcams on most computer is a big deal. So yeah, it is hard. If I did not request video from my webcam and the webcam light turns, am I being hacked? -Online chat software may activate it. -Video games may expect voice commands or team-speak. -Web search engines often have voice input. Detecting intrusions remains a vague task for the lay person. Here are a few tips about protecting yourself from webcam intruders.